The digital age has left its impact on every aspect of our existence. Whether it is laser rangefinders, electronic hearing protection, or the TrackingPoint PGF (Precision Guided Firearm), technology has definitely left its imprint on the world of firearm and ammunition. Technology has definitely come to the aid of shooters in sharpening their target hitting skills by effective software development for tablets and smartphones. 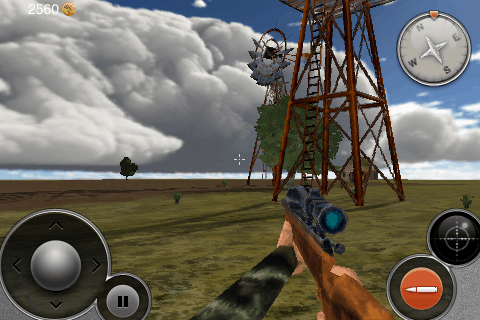 Gun enthusiasts are expecting smarter apps to fine tune their shooting skills. The hi-tech era is witnessing the introduction of numerous ballistic apps for hunters and shooters. Most importantly, you do not need to be a computer wizard to implement these shooting apps effectively. Ballistic apps have been designed for helping shooters to do relevant calculations for hitting distant targets. Now hunters and shooters have the advantage of determining wind drift, bullet drop, also, flight time and impact energy in a palm-sized mobile device. Ballistic apps are helping in making the complex arithmetic much simpler and easier. Ballistic apps can calculate personalized data relevant to your specific firearm, or cartridge or environmental conditions. iStrelok is a ballistic trajectory calculator that is pretty easy to use. With this app, you can plug in factors like model, rifle make, cartridge, wind direction, weather conditions, slope angle, speed, and reticle and scope information. The tool is used by hunters for calculating the trajectory of shots. The tool effectively helps the shooters in improving accuracy, precision and overall marksmanship. It boasts of a much simpler and less technical interface as compared to ballistic. iStrelok is definitely quite affordable as compared to many others presently available for both Android and Apple devices. This app has been created and designed by Bryan Litz, a champion shooter. This shooter application is regarded as the Official Ballistics Solver today. The Applied Ballistics app is a cutting-edge ballistics calculator that aids long-range rifle trajectories. The shooter is allowed by the app to choose from a huge library of bullets. The user has to feed in the gun and bullet properties along with sight scale factors, atmospheric information, and zero shift offsets as inputs. The Applied Ballistics calculator is then supposed to come up with the results. This app is quite popular as it is said to be compatible with both Apple and Android devices. This app is available on and compatible to both Android as well as Apple devices. The Nosler Ballistics app is supposed to calculate trajectory, velocity, windage, bullet flight time, and energy for any valid range. The app is capable of adjust according to atmospheric conditions like barometric pressure, temperature, altitude, humidity, and density altitude or density of air. Nikon’s SpotOn app is known to provide precise points of aim necessary for all Nikon BDC Reticle Riflescope. It also provides instantaneous reference for sighting on any other Nikon riflescopes having MilDot, plex, or the standard crosshair reticles. The app boasts of including a section especially, for hand loaders and this allows comparison of loads and creation of field reference chart. The app has another section dedicated to inputs regarding atmospheric conditions. The Nikon SpotOn app is now available on both Apple as well as Android devices. Along with Ballistics Calculator, Winchester has now come up with this Pattern Board app in the year 2015. Available on a smartphone, laptop, and tablet, Pattern Board is the true pioneer in pattern apps offered especially for shot gunners. The app allows hunters and shooters to view exactly how various turkey loads have actually patterned at variable distances without really pattern testing each and every individual load. Users simply need to select or input the gauge, shell length, choke constriction, pellet size, brand, and shot’s distance, and then the Pattern Board will automatically, generate a shot pattern that is based on these inputs. Browse through http://www.shooting.org/ if you are a gun aficionado. © 2019 View Gadgets. All rights reserved.